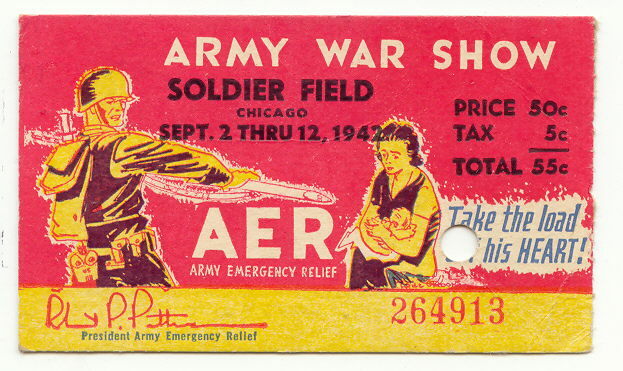 A souvenir ticket of the 1942 Army War Show held at Soldier Field in Chicago. Used condition, as is. Measures approximately 2 1/4" x 3 7/8". Any questions, please email me. Price recently reduced from 20.00. Inglenook Antiques...Established 1989. 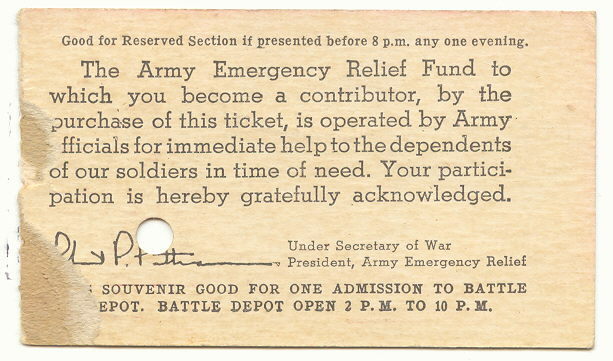 Items Similar To "1942 US Army War Show Ticket Home Front Militaria Used Soldier Fi..."